High quality scratchers in fun animal shapes and bright colours will keep your cat happy and healthy! Was $39, now only $34. 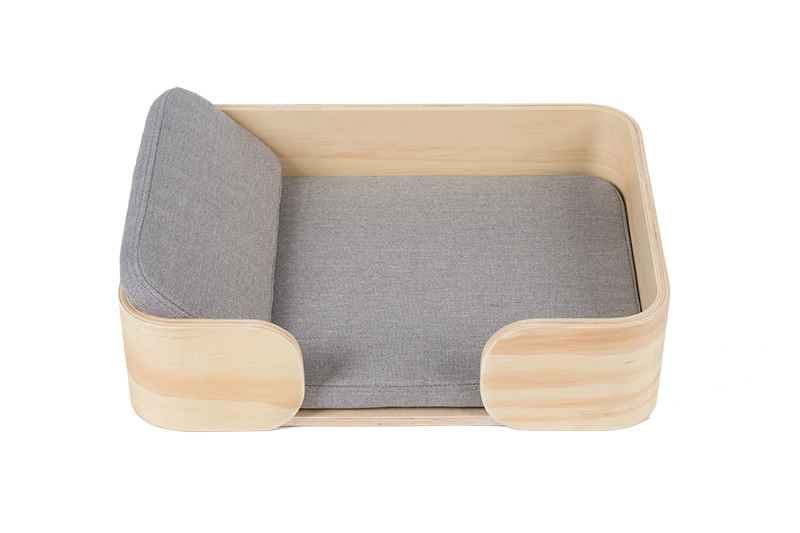 Stylish and modern, this cat bed (with pillow) is the purrfect bed for your cat to relax on. Cute, modern, comfortable. Was $149, now only $139. 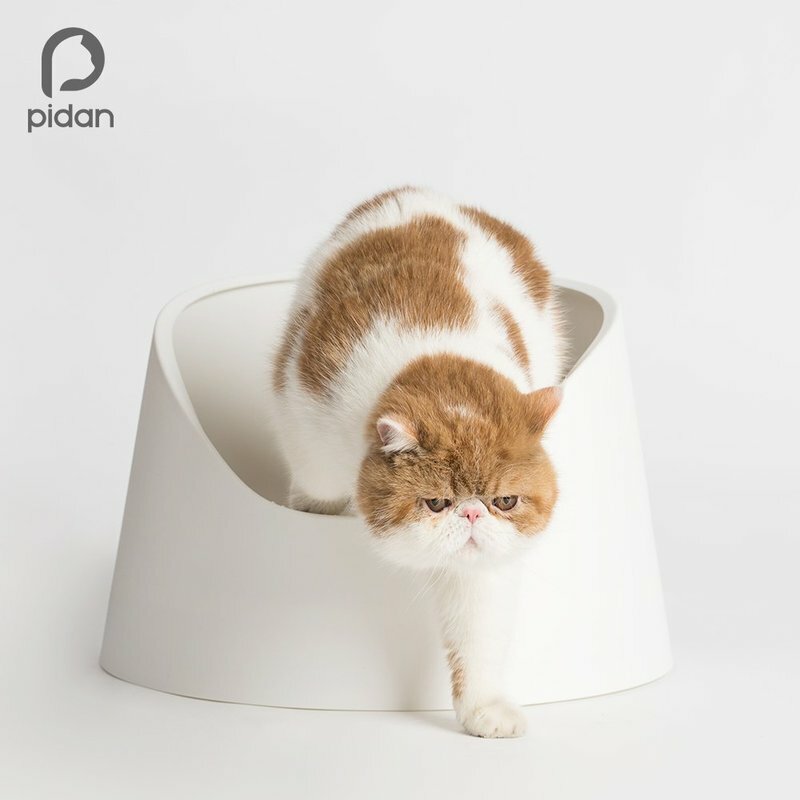 Made for cats that love to curl up and sleep, the spiral cat bed by Pidan is a cozy yet modern and stylish bed for any lucky cat. 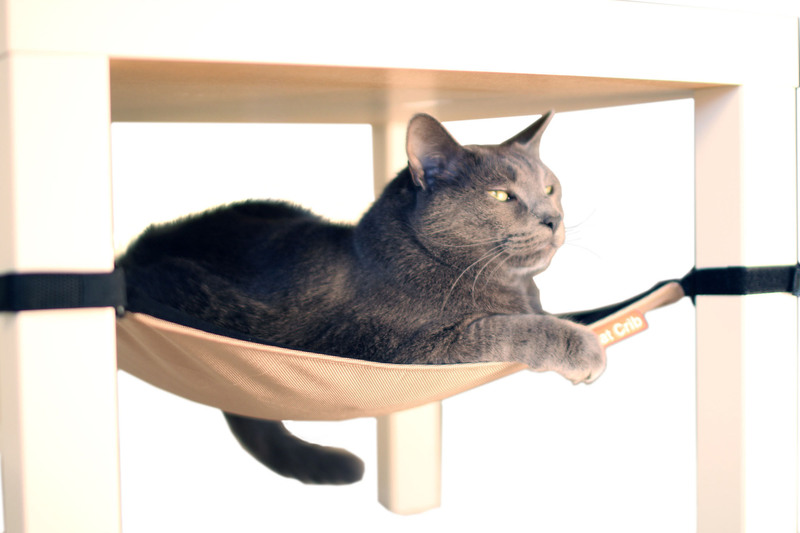 Modern, stylish, comfortable and a perfect hammock for your cat to lounge with you in your home. Was $79, now only $69. 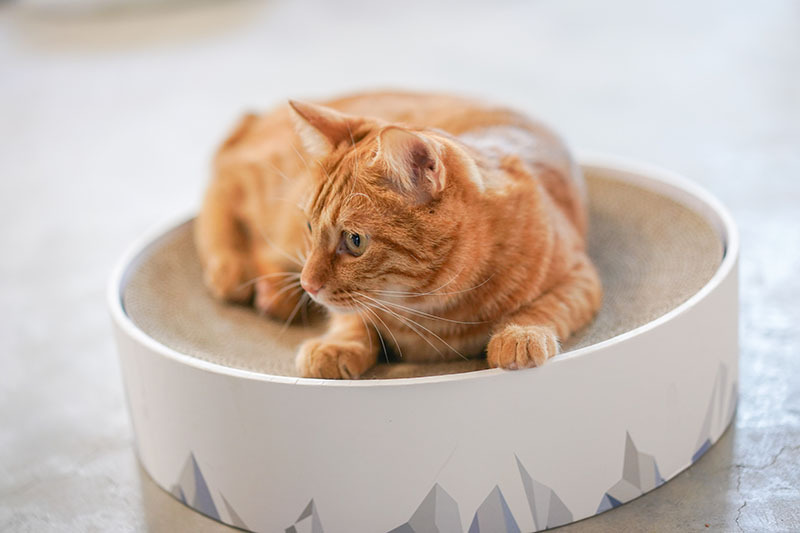 Treat your cat to a cardboard play station they can roll around in, scratch and even sleep - designed to keep the mess inside! Was $59, now only $49. 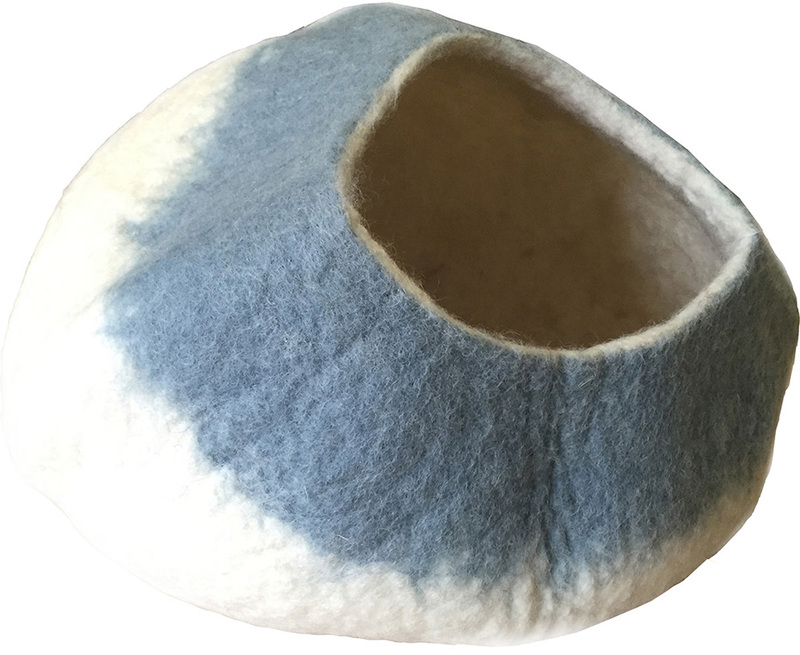 White and blue hand made cat cave from 100% high quality merino wool. 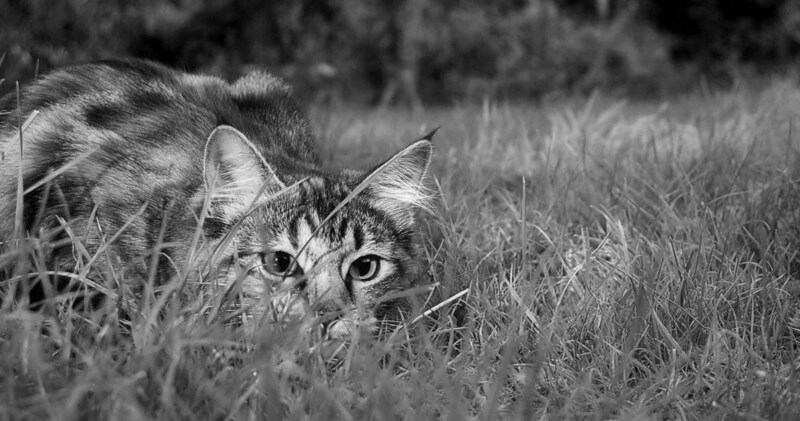 Give your cat a sustainable eco-friendly and awesome cat cave today. Was $119, now only $79. 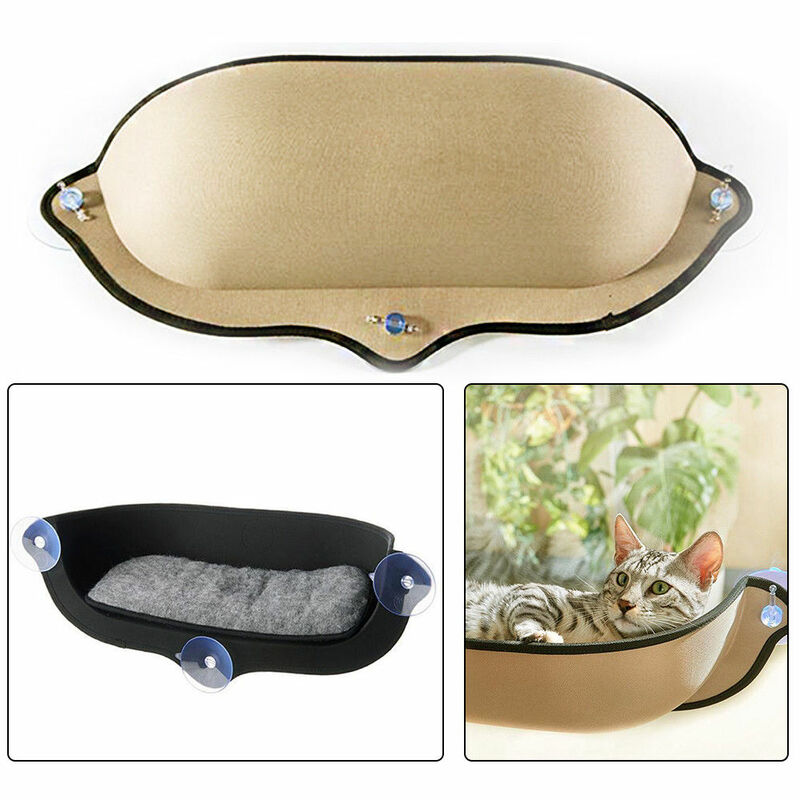 Want to give your cat a bed that is elevated, warm, and has a great view? These cat beds suction onto any window! Was $69, now only $59. 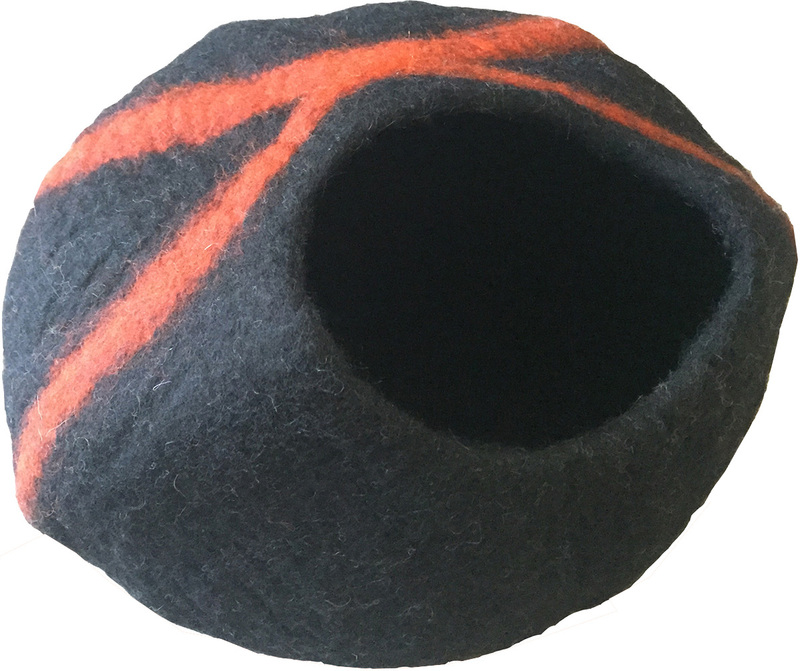 Hand made in Nepal from 100% merino wool sourced from New Zealand, this black and red cat cave is a perfect cat bed for your kitty. 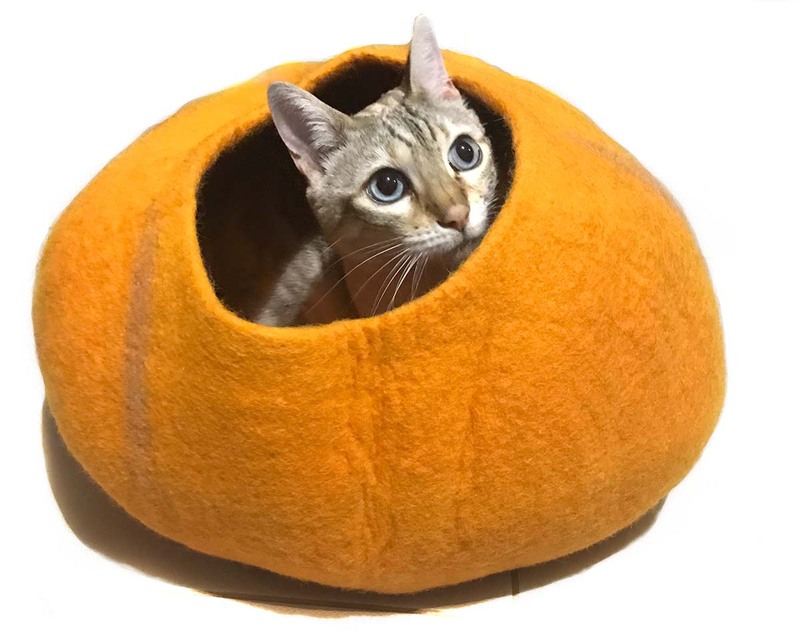 Bright orange with slightly darker stripes, this 100% high quality merino wool cat cave is a handmade bed your cat will love. Scratch 'n snooze! 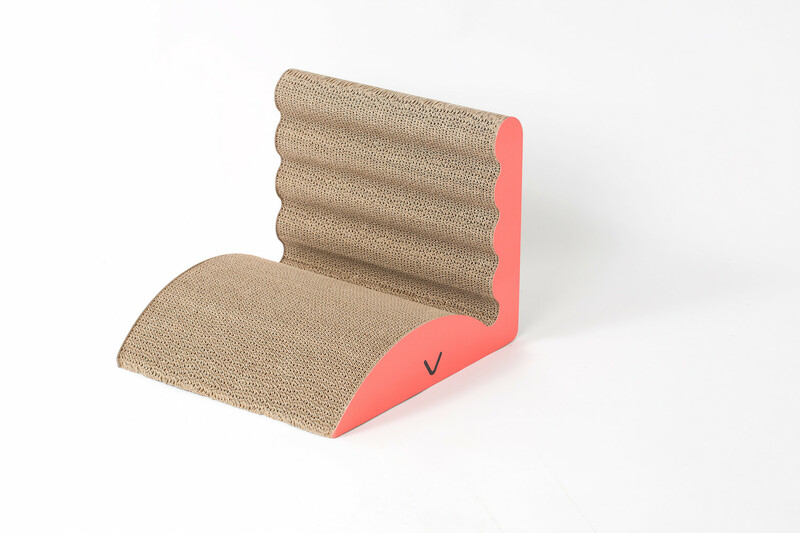 Dual action scratcher doubles as a handy spot for those essential cat naps. 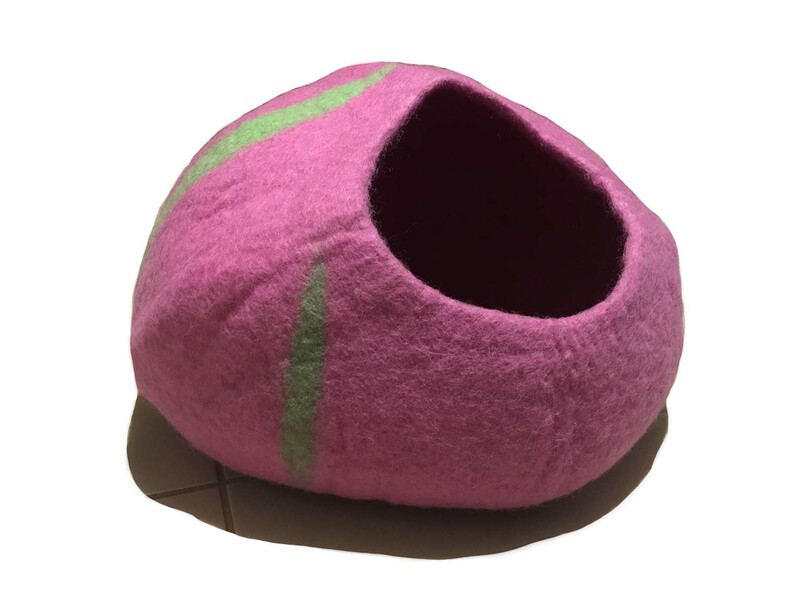 Imagine your cat enjoying one of these unique hand made cat caves, beautifully coloured for the modern home, from 100% New Zealand Merino wool. 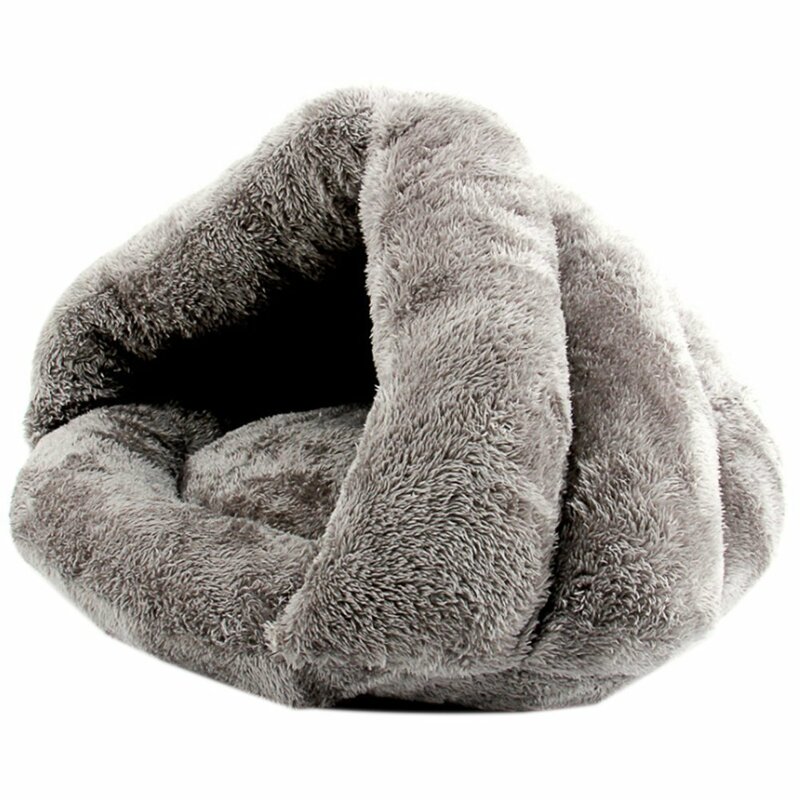 Super warm, and incredibly soft and comfortable, your cat will sink and snuggle into this warm bed this winter. 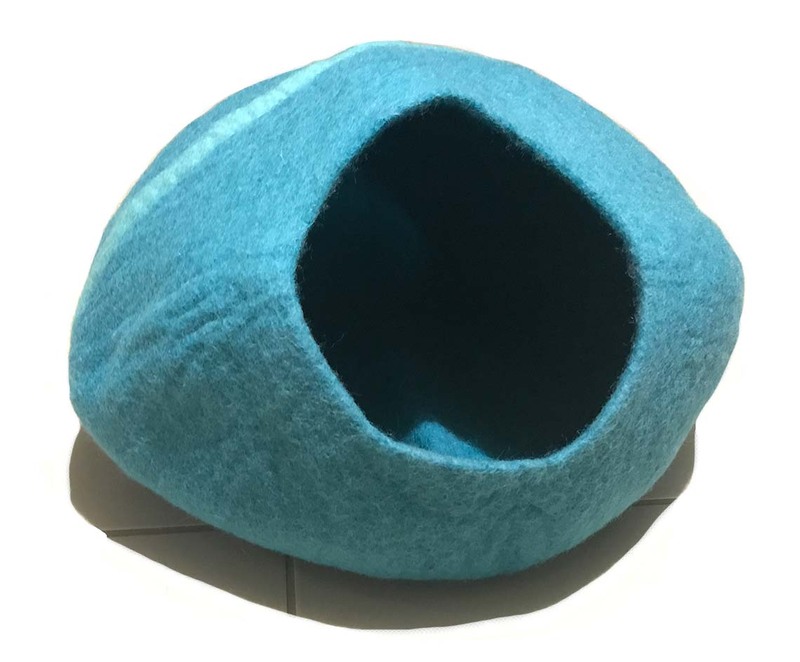 Shades of beautiful blue, this 100% high quality merino wool cat cave is a handmade bed your cat will love. 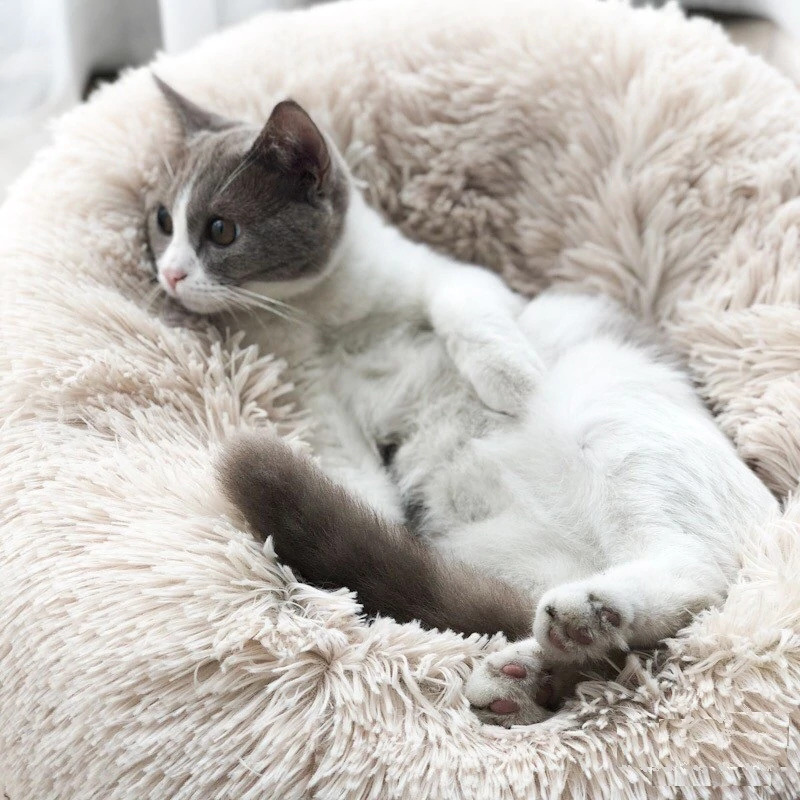 The Arctic silver igloo is a great bed for any cat that loves to snuggle in when they sleep. 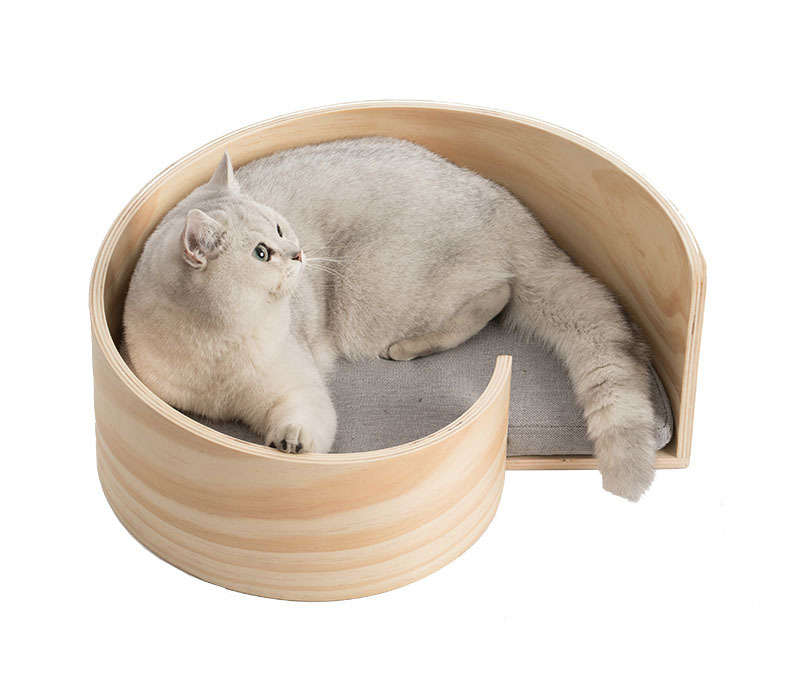 With one open face on the igloo, your cat can curl into the bed and sleep safely. Was $70, now only $59. Beautifully designed and easy clean open cat litter box - purrfect for your pampered puss! Was $89, now only $79. 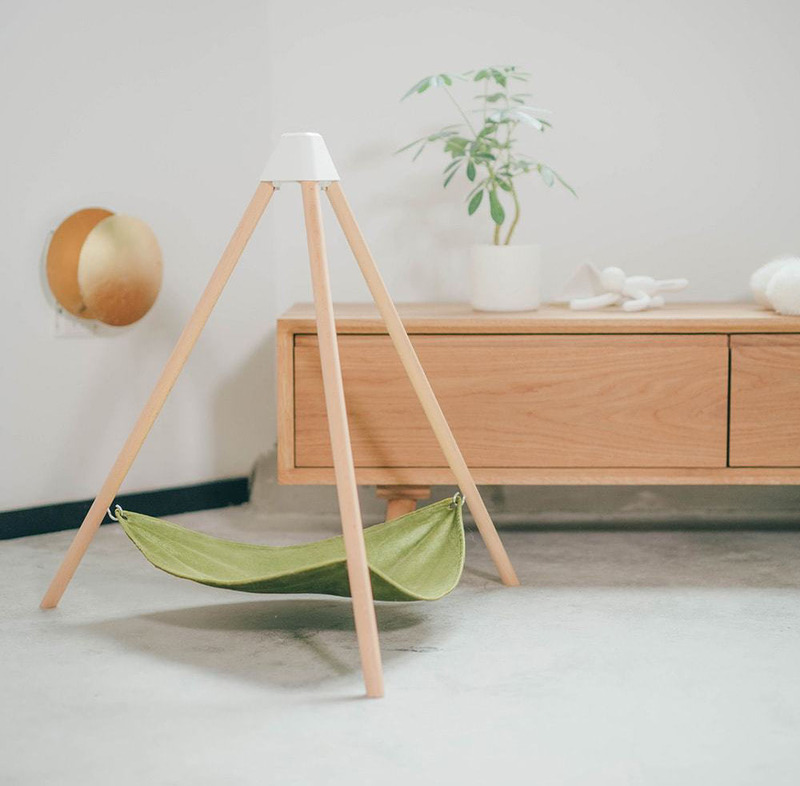 The Cat Crib is a space saving cat hammock, designed to fit under most chairs and small tables - secure, comfortable and stylish - your cat will love it. Was $44, now only $32. 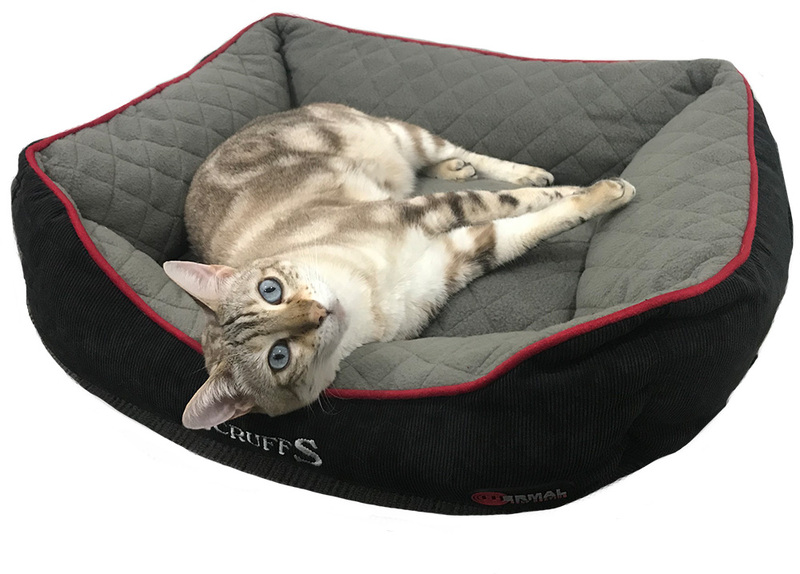 Treat your cat to a self heating thermal bed, that is spacious, warm, made from recycled materials and does not have a plug.